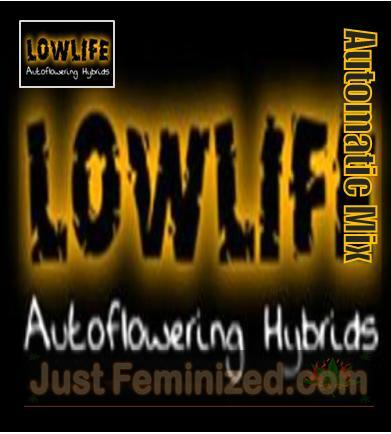 Here is a collection of Lowlife seeds that include 5 feminized mixed strains. This is a great way to try one of each of this fantastic collection from lowlife seeds. 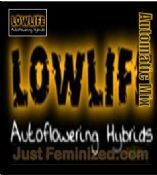 We stock the full Lowlife seeds range at justfeminized.com and so they are mostly available for 24hr delivery. Lowlife marijuana seeds come in original seed bank breeder’s souvenir packaging (seeds in a plastic wrapper with a souvenier card) and we offer various stealth delivery options available during checkout. We also stock the full Lowlife seeds range in our single pick and mix seeds section so you can try a few different strains before committing to a large purchase. Click here to be directed to our Lowlife seed bank single marijuana seeds section.